Romantic mountain backdrops, famous winding roads, Swarovski crystals, Freud, Apfelstrudel, Mozart, Beethoven and the family Von Trapp of classic musical, “The Sound of Music”. These are just some of the names synonymous with Austria where we are bringing you the first ever “women’s only” Edelweiss motorcycle tour. 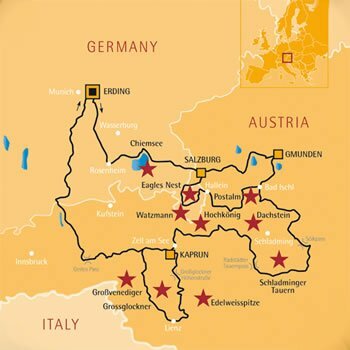 An all inclusive motorcycling tour through the Alpine wonderland of Austria and Germany’s southern Lakes region. What could be more exhilarating than riding a motorcycle through one of Europe’s most beautiful motorcycling paradises the Alps! Experiencing the contrast between the beautiful lakes in southern Germany and Austria’s towering mountains winding roads reaching up to 10000 ft! It’s nothing less than breathtaking! 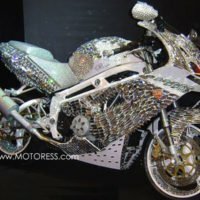 This unique tour is presented by Farewell Travel Service representative for renowned Edelweiss Bike Travel–hosted by Vicki Gray director MOTORESS! 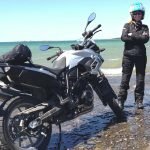 “This tour is the perfect answer to accommodating the increase of women motorcyclists participating on Edelweiss Bike Tours”, states Nigel Andrews President of Farewell Travel Service. 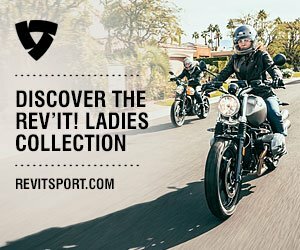 “We feel this tour allows women a chance to be free of the men, meet and mingle with other avid female motorcyclists and of course, have the option to share accommodation just as the guys do to lower the price point of the tour” , says Nigel. “With Vicki, and the fact that she’s a true professional in the motorcycling world for over 25 years, and a spokesperson for women in motorcycling, we enthusiastically asked her to be part of the initiative not only as host of this inaugural event but as an instructor and participant tour guide–she has so much experience in Europe”, exclaims Nigel. The tour takes place from 24-31 July 2010 and offers you a little bit of everything that comprises motorcycle touring pleasure. Beautiful and relaxing rides through the valleys, mountain roads and passes, great vistas and sights such as King Ludwig’s Castle Herrenchiemsee, Salzburg, Lake District and the Grossglockner—Austria’s highest Alpine peak! Before anything gets underway you’ll start off with a private one day riding school with Vicki Gray and the Edelweiss instructor. You’ll receive practical training for Alps riding. You’ll have the chance to hone your mountain alpine cornering skills and become familiar with the motorcycle you’ll be riding for the duration of the tour. 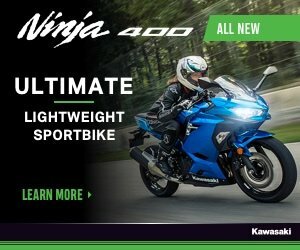 This special and unique package is open to both novice and experienced riders, within a zero pressure environment, regardless of riding level/skills. Plus whenever you like, you can access Vicki’s wealth of knowledge as a former racer, racing and motorcylce instructor. You’ll be riding 6 days out of the 8 planned in this vacation, covering a total distance of 720 – 1300 km (450 – 800 miles). Daily rides of 80 – 280 km (50 – 175 miles) all enjoyed on good asphalt roads. And at the end of each day you’ll enjoy comfortable middle-class hotels with traditional Alpine flare! Midway you’ll have a rest day which means that you can stay two nights in the same hotel. This gives you the opportunity to explore a little bit more locally– ride around the countryside or even add Italy to your list. Walk through the town, meet the locals and sample local food—or perhaps enjoy a traditional European Spa day and totally pamper yourself. Ride luggage free! Support vehicle will transport all your stuff. A broad selection of motorcycles to fit your skill level and riding preference –you only need to bring your helmet, riding and rain gear. Request shared accommodation which will assist on lowering the room rates. Two of Edelweiss’s female tour guides (plus Vicki) making this truly an all women’s tour. Riding club atmosphere with MOTORESS that the boys will be envious about—there’s no doubt you’ll return a more experienced and skill enhanced rider. The chance to share a memorable riding vacation with your best girlfriend—and make new friends! The first riding day already provides the first highlight of the tour: King Ludwig’s castle Herrenchiemsee. Like everyday, you have two routes to choose from: an easier route for those travelling in the Alps for the first time. Of course there is also a longer route that offers a little preview of the mountain roads that are waiting for us during this week. The night we will spend in Salzburg, Mozart’s birth town. Once again, this day’s itinerary has several spectacular sights: select Route 1 and you can spend the morning in Salzburg with its abundance of tourist attractions. In the afternoon you can ride along the beautiful lakes of the Salzkammergut towards our destination Gmunden. 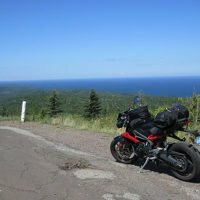 If you prefer the longer ride, the Eagle’s Nest -Hitler’s mountain home – is our morning highlight, before we seek some more mountain roads and twisties in the afternoon. Today the riding becomes more serious; slowly we make our way towards the higher Alpine regions. But even though the mountains and the mountain roads are nothing less than spectacular, there are still some sights to visit when you are on the shorter route such as Emperor Franz Josef’s summer residence in Bad Ischl and the picturesque Hallstatt with its salt mine. The longer route twists and turns through the Tauern-region, the first “real” mountain pass roads are waiting ahead! If you need a break after three days of riding in the Alps: this is your chance. Relax in the hotel or take the opportunity to go skiing on the Kitzsteinhorn glacier… But if you prefer riding, one of the highest and most beautiful mountain passes is waiting for you – the Großglockner High Alpine Road. The views from its highest point, the Edelweissspitze, are breathtaking! We leave the mountains. Once more there’s the choice between two routes: the shorter leads on narrow roads along many small lakes back to Bavaria/Germany, the longer route visits the Krimml waterfalls and Lake Starnberg, the beautiful lake near Munich. Both routes can be shortcut in the afternoon, if you want to have a little more time in Munich or Erding. DAY 8 DEPARTURE FROM MUNICH View the flyer with booking details and download the booking form here –and send to Nancy at Farewell Travel by either fax or email scan.